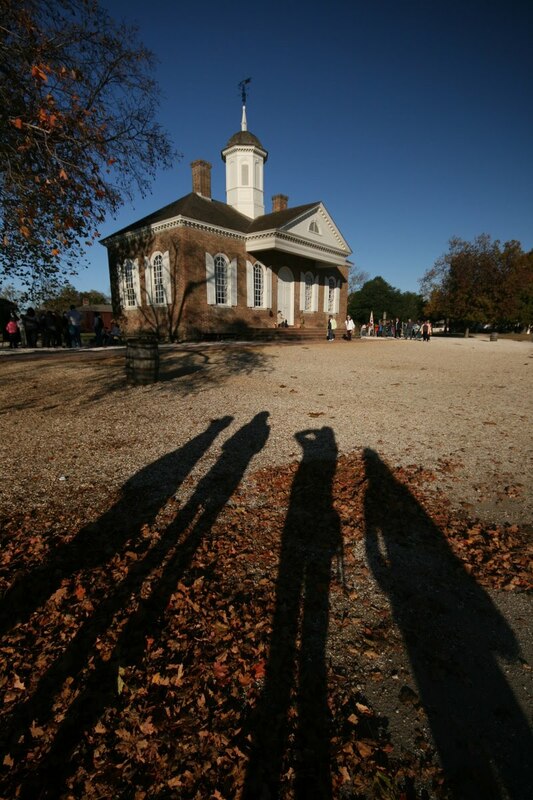 On our way from Richmond to Norfolk, we stopped in the charming city of Williamsburg where we got out first chance to experience fall on the East Coast. Where seasons actually exist (unlike California), we saw streets lined with trees in beautiful reds, yellows, and oranges, in addition to fresh fallen leaves on the ground – perfect for jumping in and creating sounds of crunching leaves. Colonial Williamsburg is an area of the town set in colonial times, with horse carriages and people in character throughout the town. This is a photo of us via shadows!